The Prime Minister Modi explained how the Union Government is focused on improving ease of doing business, and ease of living for the citizens. He expressed happiness at the large presence of Japanese companies in India. 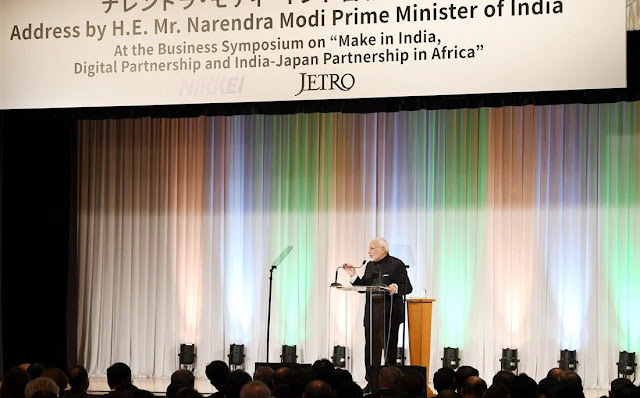 The Prime Minister said that India's rising economy, fast growing middle class and young demography offer many new opportunities to Japanese investors. In this context, he mentioned low cost manufacturing, IT industry, and electric mobility, among other sectors.